This quiet area of Devon heathland is important for Dartford warblers, nightjars and stonechats. It's sheltered wooded fringes, streams and ponds abound with insects - 37 species of butterfly and 24 species of dragon and damselfly (including the internationally endangered southern damselfly) have been recorded. The reserve is 213ha of southern heathland, which itself is only a part of the heathland area known as the East Devon Pebblebeds. This area is one of the largest outside the New Forest and it's geology makes the heathland unique in Britain The reserve is leased to the RSPB from Clinton Devon Estates, the owners of the majority of the pebblebed heathland. There is a visitor's trail on the reserve marked by green topped posts. Aylesbeare Common has the EU status of Special Protection Area (SPA). This is a man made landscape going back to Neolithic times and was once used for low intensive agriculture. With changes in agricultural practices, this type of habitat now requires constant management in order to preserve it's unique character. It is also under threat from development and mineral exploitation, with large areas already lost to modern agriculture, housing and the quarrying of aggregates. The reserve is nationally important for its populations of Dartford warblers (resident species - 62 breeding pairs in 1998, 32-35 pairs in 1999), and nightjars (a summer migrant - 17 breeding pairs in 1998, 23 pairs in 1999). There are also about 10 pairs of breeding stonechats. 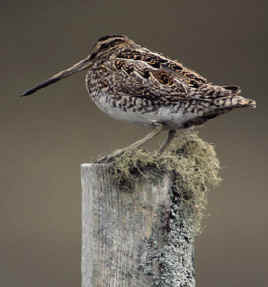 A wide range of both heathland and woodland species of other birds can can also be found. 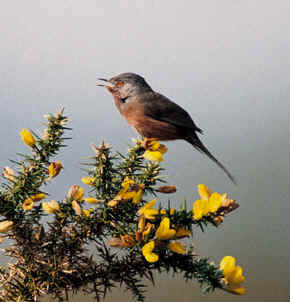 Left: Dartford Warbler on gorse. This reserve has the highest recorded number of butterfly species of any RSPB reserve, with 38 species recorded since 1997, and 30 species recorded annually. These include the brimstone, silver washed fritillary, the grayling and the silver - studded blue. The reserve also has a large and diverse population of dragonflies and damselflies with 23 species recorded; 18 of these are known to breed. There are more than 450 species of plants on the reserve, dominated by the three heathers, ling heather, bell heather and cross leaved heath. These grow alongside two species of gorse - the common and the western gorse. Other species include the sundew, bog asphodel, dodder, heath milkwort and the heath dog violet. Open at all times. There are no admission charges. One of the tracks which crosses the heath is suitable for wheelchairs and pushchairs. Five miles east of junction 30 of the M5 at Exeter, 1/2 mile past the Halfway Inn on the A3052, turn right, signposted Hawkerland. Grid reference of carpark SY 058897 on map 192 in the Landranger series. 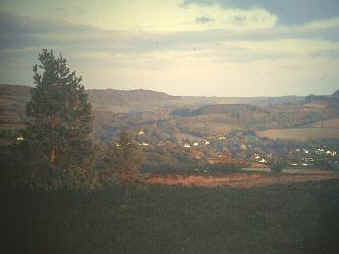 View East from Harpford Common. The RSPB are actively working to maintain and restore 3500 acres of heathland and provide a management team which removes trees from heathland. They also use cattle grazing to prevent the regrowth of trees. The RSPB work with 11 different organisations managing heathland in East Devon.